Arctic winds spilling into northern Utah overnight are dissipating as they travel south to central Utah. But as the wind dies down, freezing temperatures continue. Mike Siemen is a meteorologist with the national weather service in Salt Lake City. He says the easterly winds will continue into the evening, dying down around midnight, with wind-chill values expected to dip to -13 degrees. “Tomorrow looks dry, not nearly as windy, but still quite cold with temperatures struggling to make it to the 20 degree mark along the Wasatch Front,” Siemen says. The National Weather Service is still issuing a high wind warning for Davis County. Jeff Bassett is the South Davis Metro Fire chief. He says fire crews in Northern Utah were busy last night responding to power outages that had tripped fire alarms, power surges and carbon monoxide calls. 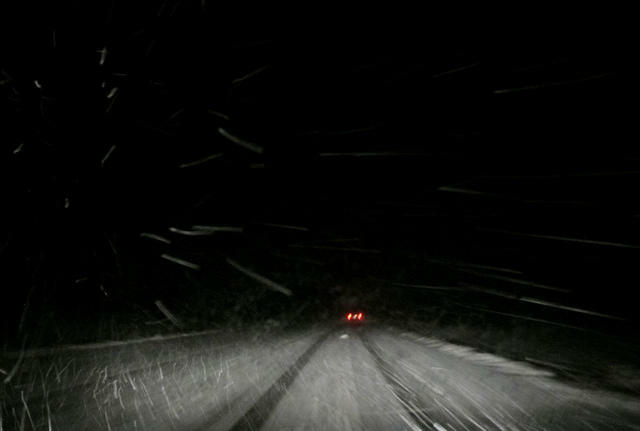 Meteorologist Mike Siemen advises motorists headed south for the holiday to be cautious as Southern Utah is expecting heavy snowstorms tonight and tomorrow. Rain and snow drenched northern Utah this weekend, bringing moisture that will make a big difference in spring and summer. Randy Julander works for the federal Natural Resources Conservation Service. He monitors Utah’s snowpack. He also watches water levels in Utah’s streams and reservoirs with an eye on what that means for irrigation and drinking water. Last week his office reported that snowpack was just 75 percent of normal statewide. Julander says key reservoirs were less than half full. 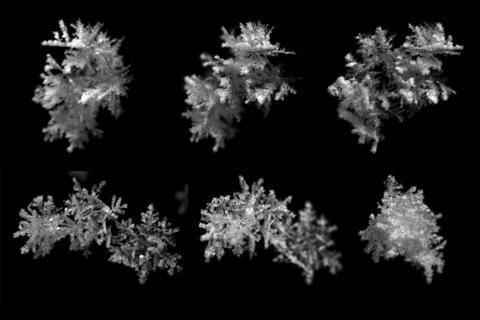 A University of Utah researcher is taking pictures of snowflakes in a way that’s never been done before and the results could help forecasters better predict the weather. If you’ve ever seen a picture of a snowflake it probably looked a lot like the paper cut-outs made every winter by thousands of first and second graders across the country: unique, but perfectly symmetrical and flat. But according to Tim Garrett, an atmospheric science professor at the U who helped develop a new way to photograph snowflakes, that image is a lie. Jim Steenburgh began probing the deep questions about the Greatest Snow on Earth since he settled in Utah after college.